Grand Tetons National Park WY. This is probably the most photographed structure in the park; should have the color version coming next week. Gorgeous photo and I love the processing. I wonder how many years that barn has withstood the elements. Great BW. 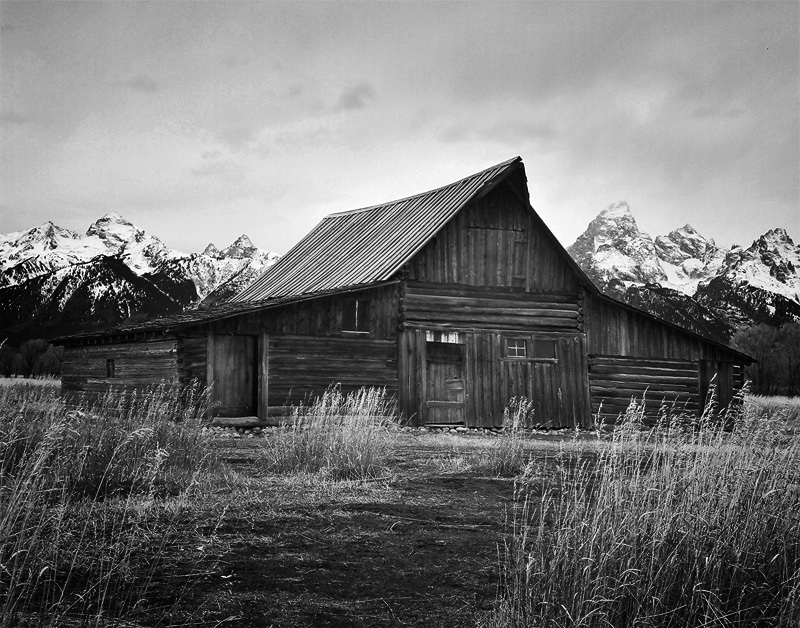 Love the way the roof of the barn fits in with the mountains. for a reason. gorgeous setting and wonderful B&W. The mountains in the background seem unexpected. I suppose because I'm used to seeing barns like this in open fields.